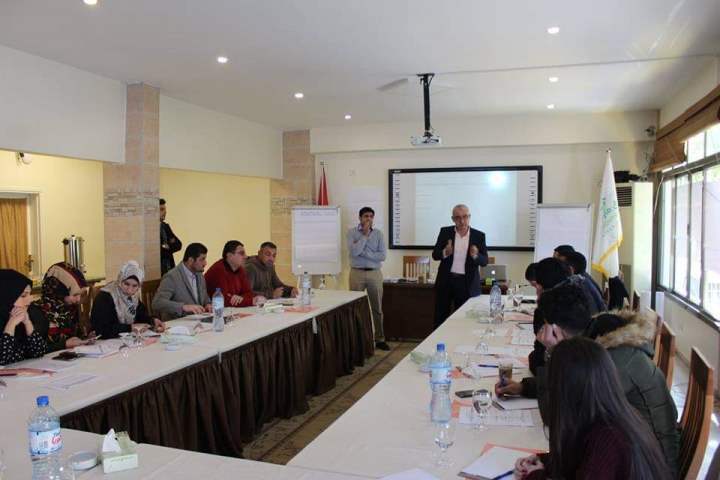 IUG delegation did join a training program for "Promoting dialogue between universities in Gaza and the West Bank". The programme encompassed two-days dialogue workshops that held in the purpose of bridging the gap between universities and reforming the former impressions that had impeded the universities' required interaction. Discussions rotated around certain ways of analyzing the environment of conflict and its components, in addition to the influential elements that lead to understanding the complex relationships, differences, and agreements. Consequently, the programme set recommendations and policies that aim at making a positive change and building more effective relationships between universities. The program concluded that the years of division have created prejudices and negative impressions about universities in both sides of Palestine. However, many of misunderstanding, as well as miscommunication, can be easily addressed if there is a good environment of communication with sincere desire to help the public interest. The training programme was carried out by Prof. Zahid Yusuf from the Northern Ireland who is an international expert on the conflict resolution and promotion of civil peace. He has 15 years of experience in developing and designing development programmes, peace-building, and conflict resolution in conflicting areas such as Chad, Congo, Sudan, and others.